Stink bugs – the nuisance insects that exude the stench of their namesake when squashed – are already invading homes in the Hudson Valley. Soon, they will be coming in full force. As the weather cools, stink bugs begin searching for shelter to overwinter and stay warm. While the bugs are harmless to people, with the capacity to neither bite nor spread disease, they are considered a nuisance pest, often overtaking living quarters and dive-bombing residents. When disturbed or killed, they go into defensive mode by emitting a foul-smelling odor to deflect enemies. 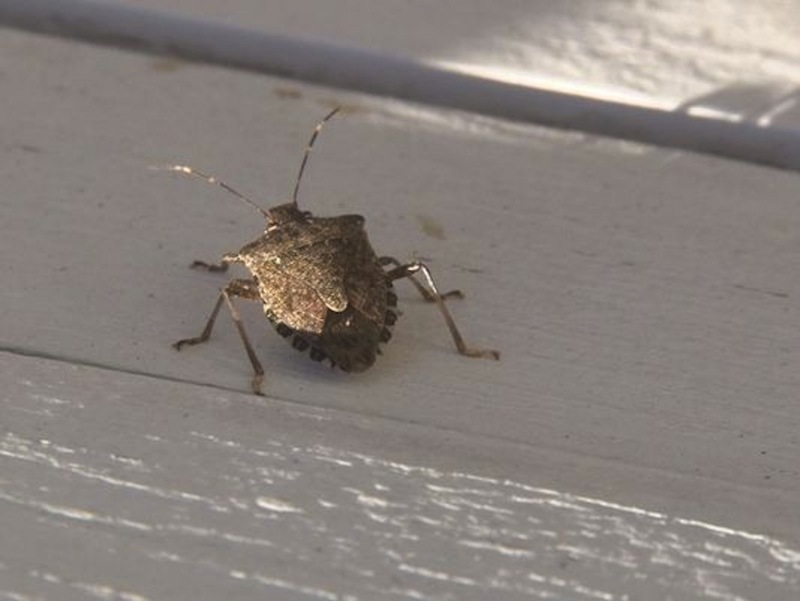 Peter Jentsch, an entomologist at the Hudson Valley Research Laboratory, says stink bugs are mostly feeding in the woods right now but will begin to move into people’s homes over the next couple of weeks. He says they will probably settle down by middle to late November as the daylight decreases and they start looking for an overwintering site. Since the arrival of stink bugs in the Hudson Valley in 2007, they’ve become a festering problem for homeowners across the region. Once the temperature cools in the fall, the insects hibernate in many homes until warm weather reemerges in the spring. But one exterminator from Pestech Pest Solutions, a pest control service company that operates in N.Y., Pa. and N.J., says the stink bug population may be dwindling. Homeowners in other regions, however, still face an uphill battle against the bugs, according to Greg Krawcyzk, an extension tree fruit entomologist at the Pennsylvania State University. “[The problem] will be here for a long time,” he added. A brown marmorated stink bug, commonplace in the Hudson Valley, rests on an outdoor patio. In 2011, Krawcyzk helped launched the Stop Brown Marmorated Stink Bug project with funding from the U.S. Department of Agriculture’s Specialty Crop Research Initiative. The aim of the project is to find solutions that will curb the growth of the stink bug population and protect food, farms and the environment from the invasive pest, according to the organization’s website. Brown marmorated stink bugs are an invasive species from East Asia that were first discovered in the U.S. in Allentown, Pa. in 2001, although traces were documented as early as 1996. According to the U.S. government’s National Invasive Species Information Center website, stink bugs most likely arrived in the U.S. by creeping into international shipping containers. Now, the species is a severe agricultural and nuisance problem in seven states and has been detected in 35 others. Although New York is not one of the seven states under severe threat from stink bugs, Jentsch says homeowners are having difficulty dealing with the onslaught of the insects. While some people have resorted to spraying the exterior of their homes with disinfectants, most stink bugs are thin enough to make it through small cracks. “You can seal up your home as best you can, but there hasn’t been any really good way of keeping them from getting into your house,” Jentsch said.